PETER CHIANG RUNS runs Hobby Bounties of Singapore, and also organises the Annual Airfix Competition for schools there, or to give its full title, the National Airfix Aeronautical Model Engineering Competition. 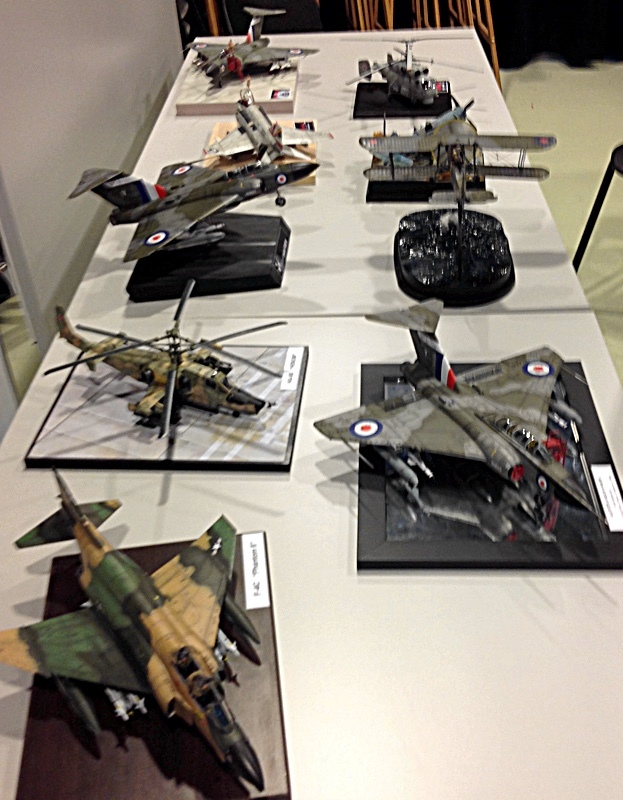 Mat Irvine reports: In fact, these photos from Peter show that it seems they didn’t all have to be Airfix originals. The pictures (below) give a good idea of what was on display, and also an excellent indication of the high build quality of the entries. 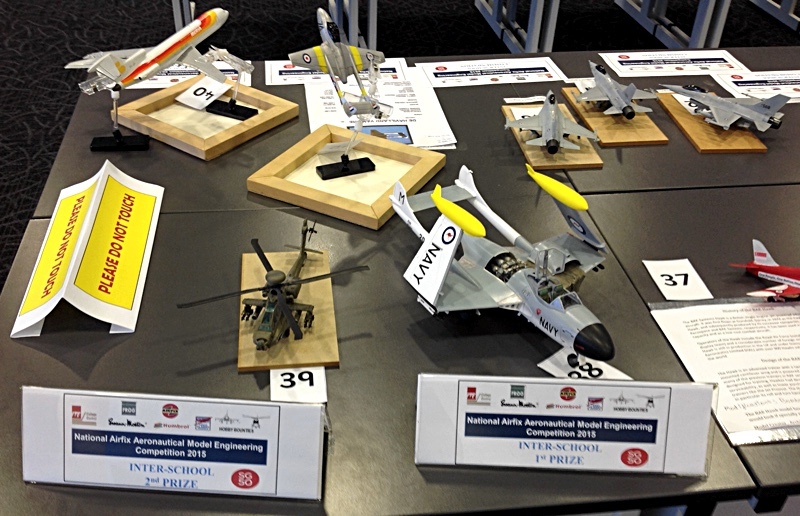 This 1:48 scale Airfix Gloster Javelin (below, header) won the Masterclass First Prize. Once again, a subtle weathering job makes the difference between an award-winner and an also-ran. This 1:72 scale Airfix Fokker F-27 Friendship (below) finished in Malaysia-Singapore Airlines markings comes up well, despite the advanced years of the original kit. 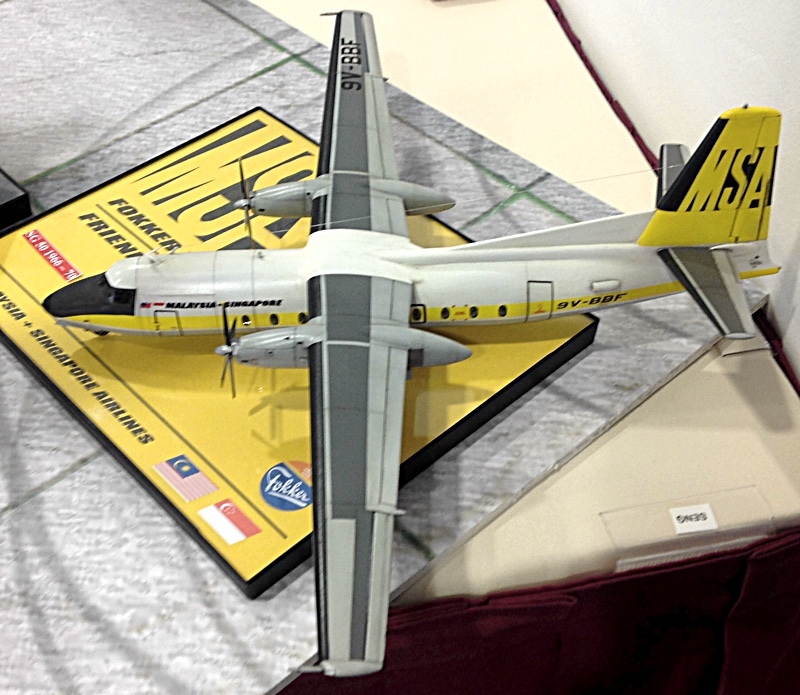 This is a particularly fine example of this turboprop, with subtle weathering that accentuates its lines. The 1:144 scale Airfix Full Stack Space Shuttle on liftoff (below) won the ‘Most Creative’ prize. 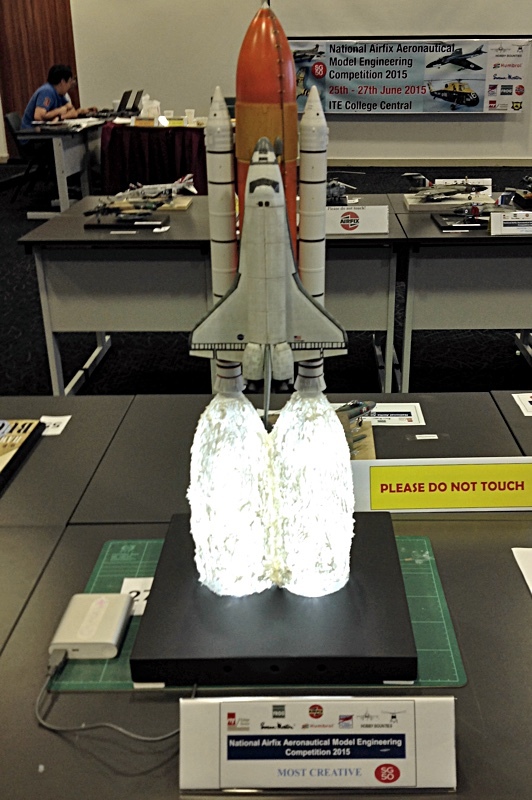 Solid fuel rocket flame illuminated from within? Amazing! Those taking part line up for a group shot (below). 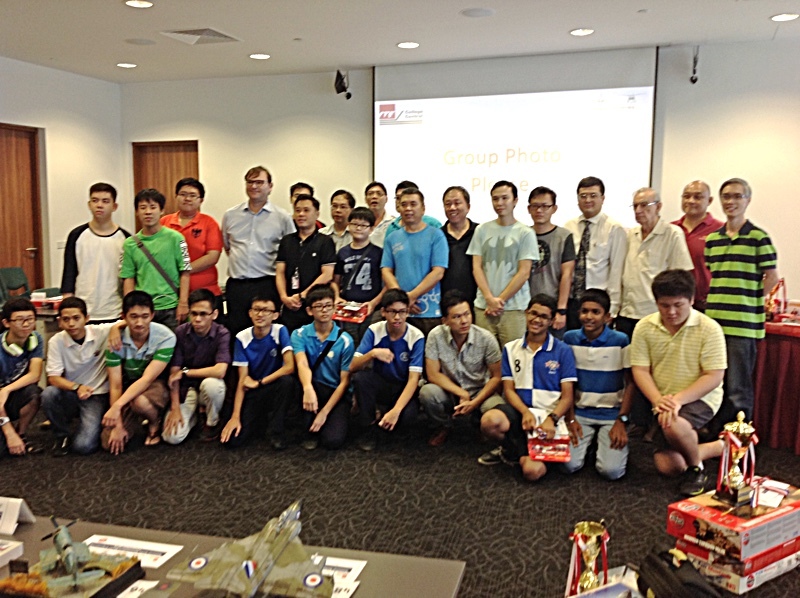 Peter Chiang is in the back row, fourth from the right. 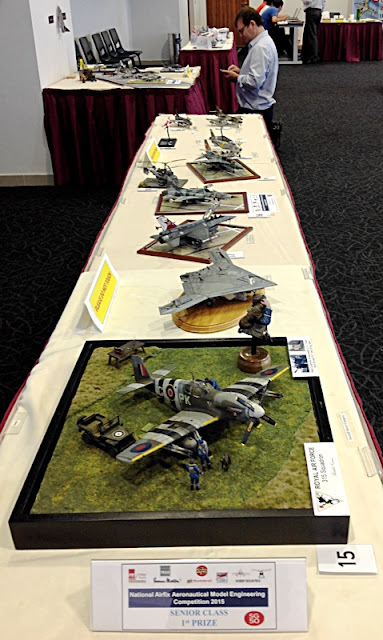 About Bounty Hobbies: The Morgan Hobbycraft Centre was set up in the mid-1970s and is the second oldest scale model hobby shop in Singapore. Hobby Bounties was set up in 1986 in cooperation with the Morgan Hobbycraft Centre. Initially, Hobby Bounties focused on Airfix products, and gradually the range grew to include science fiction items and hard-to-find model kits. Since the mid-1990s, Hobby Bounties has become the main distributor for a variety of famous brands. In addition to Airfix, HB now stocks Humbrol and Swann-Morton products from England, Eduard from the Czech Republic, Caesar Miniatures, and Hart Models. 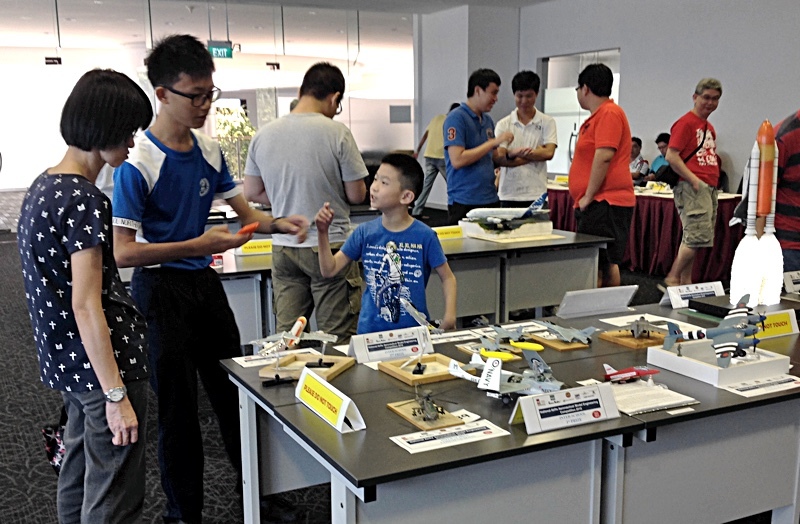 Recently, HB has become Singapore distributor for Hornby and Scalextric products. 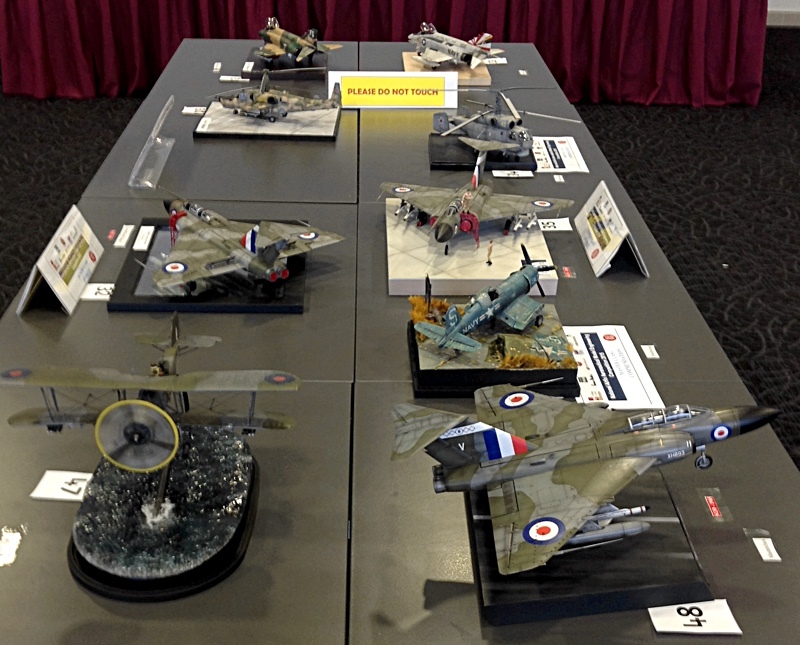 Hobby Bounties has also ventured into manufacturing and distributing scale models under the FROG brand. The name, incidentally, refers not to the amphibian, but is an acronym for Flies Right Off the Ground! 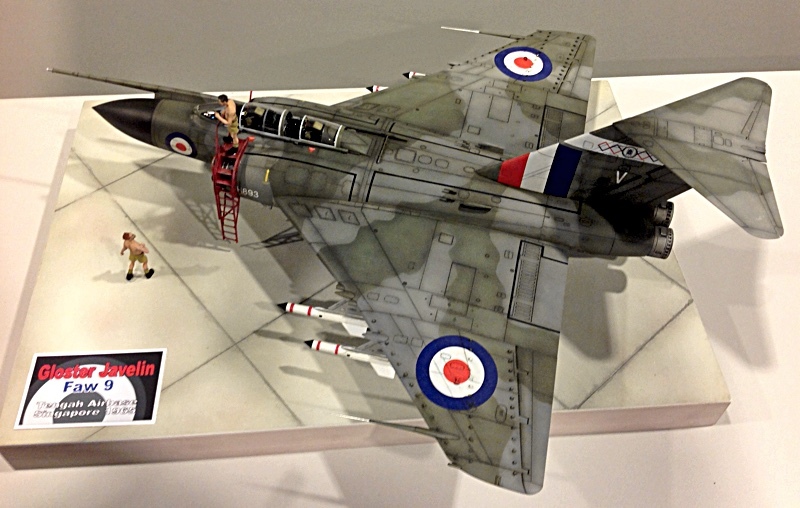 It's also a reference to a respected old brand, remembered with great affection by many veteran modellers. In 2006, Hobby Bounties and Morgan Hobbycraft Centre came under the same management, still committed to the scale modeling enthusiast.